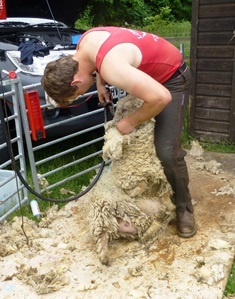 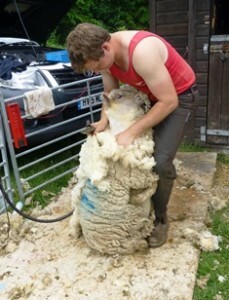 Saturday June 20th was the day set for shearing the Southdown sheep from the Nepcote Flock. 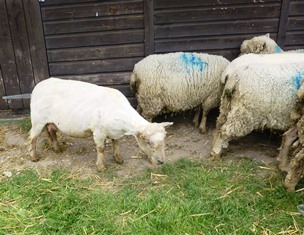 Luckily the weather was dry, although rather cloudy, and Louise Spong and I joined the flock’s owners, Graham Langford, Hari Doman and Martin Rolph, at the field. Louise and I wanted to look at each fleece as it came off the sheep’s back so we could select those we wished to reserve. 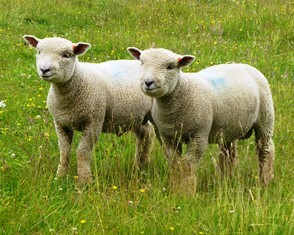 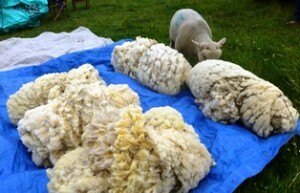 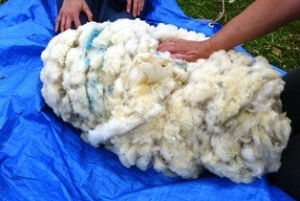 As it turned out, the fleeces were generally of such good quality that we selected nearly all of them. 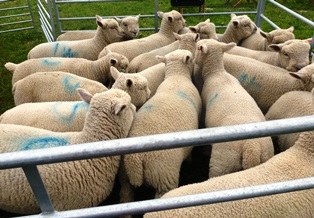 The photos below are a reminder of a great day with excellent refreshments too! 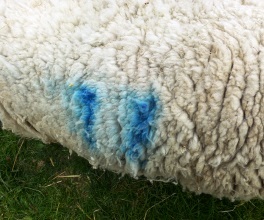 Number 11’s fleece looked good to me, so I made a note of the number and waited for her to be shorn. 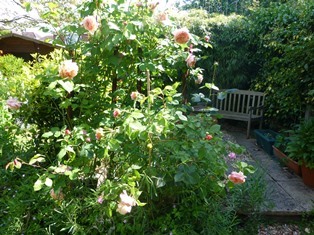 In the five years since we moved here I have managed to transform our small garden into one which resembles my old garden but on a much smaller scale. 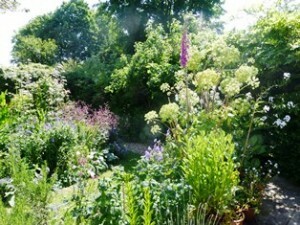 It is full of plants to attract bees and butterflies and other beneficial insects and of course I have a small dye garden too. 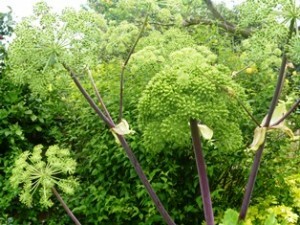 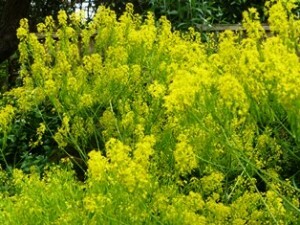 I will add some photos of my dye garden in the next post.